It’s Shrove Tuesday tomorrow – traditionally a day to use up all your fresh produce in a pancake batter before you fast for 40 days. Now more usually known as Pancake Day. 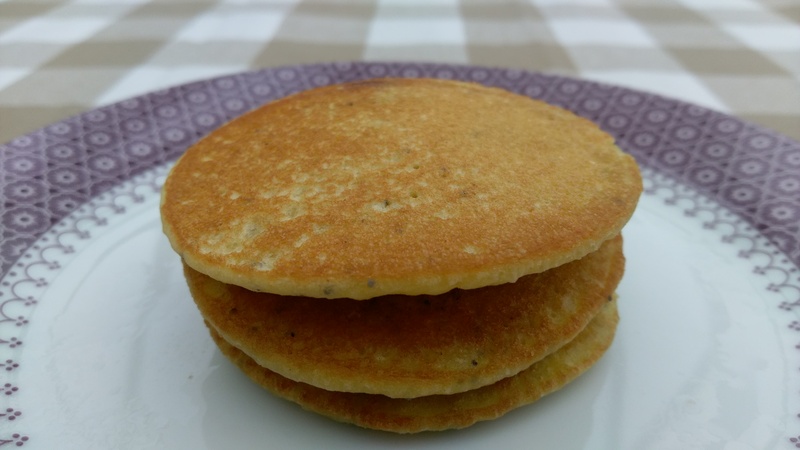 So I’m reposting below my recipe and top tips for making deliciously nutritious pancakes to flip or stack. Below are some different options to the basic batter mixture. It’s not a precise art, it’s just about getting the consistency right. For regular pancakes,you want something similar to cream. For scotch pancakes (drop scones) you want something more like really thick custard. I usually whisk 1 or 2 eggs into about 100-200g flour, plus enough milk (dairy/almond/coconut etc.) or water to make the consistency right. Ideally make flour-based batter the night before, so it can ferment and become more digestible and nutritious. Adding a splash of buttermilk, yoghurt or a little lemon juice or apple cider vinegar will help start the fermentation process. This will also reduce levels of phytates, making the nutrients easier to digest. Classic buckwheat pancakes and brown rice flour pancakes are both great. Try gram flour (chickpea flour), chestnut flour or quinoa flour. Or blend eggs with either mashed squash or mashed banana (yes, it really works! but they are more delicate, so best for drop scones). Or try this cauliflower tortilla recipe. I pretty much always use water instead of milk anyway, or a mix of water and coconut milk for a super decadent pancake. There’s a really great recipe here. 1. Add a pinch of bicarb before cooking for fluffy pancakes..